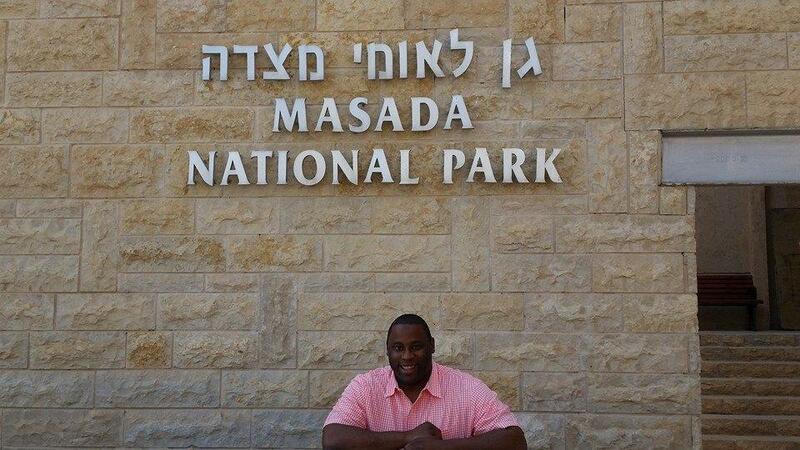 Tito Jackson posted a photo on Facebook from Masada National Park in Israel. For 10 lush days in spring 2014, Boston City Councilor Tito Jackson was an invited guest in Seoul exploring the academic benefits of taekwondo. The US Taekwondo Education Foundation financed a portion of the $5,280 trip, which Jackson said aided his understanding of how schools in South Korea use martial arts to battle bullying and childhood obesity. “It was a remarkable experience,’’ he said. He wasn’t the only globetrotting councilor, with others traveling to Japan and Taiwan. They reveled in an excursion to Israel, where the itinerary included noshing with dignitaries, hobnobbing with colleagues at cultural sites, and dipping in the Dead Sea. And there were jaunts to Colorado and Washington, D.C. The trips were courtesy of private organizations, which picked up the tabs at a cost of more than $36,000 since last year, according to a review of the councilors’ travel disclosures for trips financed by outside organizations. The councilors gave many reasons for embarking on the privately funded excursions, including the opportunity to gain professional development and to bring back valuable information to Boston. The disclosure reports, which cover the 2014-15 budget year and are filed with the city clerk’s office, do not include trips financed by the councilors or their campaigns. The councilors’ main job is constituent services, and for some analysts, it remains unclear how these privately funded jaunts to Israel, Japan, or Taiwan aided residents who want potholes fixed, snow cleared, and trash picked up. 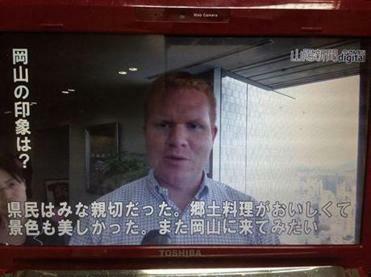 Matt O’Malley posted a photo on Facebook from Japan. One of the more interesting trips did not occur overseas. It was to Washington, D.C., this past April, as medical marijuana company Patriot Care Corp. wooed two councilors with an overnight hotel stay and a tour of its Washington facility. At the time, the company was awaiting approval from the city’s Zoning Board of Appeal to open a dispensary in Downtown Crossing. Councilor Matt O’Malley, joined by Councilor Frank Baker, said he went on a two-day fact-finding trip to tour a medical marijuana dispensary and cultivation plant. Baker acknowledged that Patriot Care paid for one of the three nights he stayed at the Courtyard Marriott at a cost of $582.81 He said his goal was to assess the impact of a medical marijuana dispensary on an urban environment and not to offer support to Patriot Care. “I didn’t [publicly] weigh in on this issue one way or the other,’’ said Baker, who just returned from a Seattle trip with the mayor. Baker’s campaign financed the Seattle jaunt. Dennis Kunian, spokesman for Patriot Care Corp., confirmed that the company paid for a one-night hotel stay for Baker and O’Malley. The company wanted to educate the councilors about its operations. It also wanted the councilors to return to their constituents with good things to say about Patriot Care, he added. “After we got state approval, we needed city approval,” Kunian said. O’Malley said his campaign paid for most of the trip and that no one on the tour urged councilors to sway constituents. Appearing before the zoning board hearing in August, O’Malley called Patriot Care “a model of what should be done in the city of Boston.” Aides to four other councilors also voiced support. The most expensive trip lasted 10 days in Israel, where the travel agenda for Councilors Timothy McCarthy, Josh Zakim, and Jackson included meeting members of the Knesset, dialoguing with Palestinians, and listening to Israeli academics. “This trip has been an educational eye opener and an experience of a lifetime,” Tim McCarthy wrote on Facebook. The Jewish Community Relations Council of Greater Boston paid $16,135.62 to cover the councilors’ expenses, including lodging and airfare. Jeremy Burton, executive director of the Jewish Community Relations Council, said his group invited at least five councilors and a few state legislators on the December 2014 trip, to promote economic and cultural connections between Massachusetts and Israel. 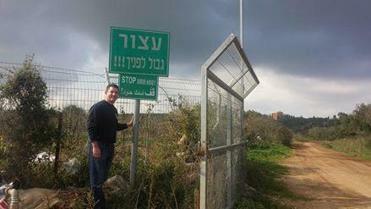 “Israel is not just some place far away. It’s part of the life and welfare of this community as well,” Burton said. The Boston councilors, in city documents, said the trip would encourage investment and tourism in Boston, allowing councilors to bring new policy ideas back home. “Great morning at Masada, incredible history there, now off to float in the Dead Sea!’’ exclaimed Zakim on his Facebook page Dec. 11, 2014. Zakim was celebrating his 31st birthday in Israel and was on his fourth trip there. He declined to speak to the Globe about the trip. McCarthy said the trip helped his district because he learned about the workings of the Israeli government and how it delivers basic city services. “It was a tremendous learning experience for me,’’ said McCarthy, whose district covers parts of Mattapan, Roslindale, and Hyde Park. Jackson said that while in Israel, he made connections in business and education, better understood how trauma affects others, and found ways to help build a strong relationship between the black and Jewish communities. He also said he gained a lot from his time in South Korea. “Many of the practices are now actually being implemented in my district,’’ Jackson said of that trip. For instance, he said, a taekwondo teacher at Higginson/Lewis K-8 School in Roxbury incorporates techniques on handling aggression and building leadership skills that Jackson observed in Seoul. And on Tuesday, Jackson and more than 100 celebrants inaugurated Korea Day on City Hall Plaza. The Taekwondo Foundation paid $2,100 for lodging and meals for Jackson and an aide. Jackson said his campaign paid the $3,180 airfare. Councilor at-Large Michelle Wu also packed her suitcases, heading to Taiwan for six days in July 2014 as part of a group of 10 young US leaders in government. They attended briefings on external trade, science and technology, and transportation and communications, according to city records. The Taipei Economic and Cultural Office in New York paid Wu’s $3,973 bill. “My goal is to gather insights that will be applicable to arts, economic development, science, and technology for Boston,’’ she wrote in her travel disclosure form. O’Malley, who represents West Roxbury and Jamaica Plain, went on an autumn 2014 journey to Japan, with an itinerary that included a Segway tour of Tsukuba, a meeting with the mayor of Kyoto, and a lunch hosted by the Ministry of Foreign Affairs. The trip was organized by the American Council of Young Political Leaders, a Washington, D.C., organization. A US State Department grant of $2,334.29 paid for O’Malley’s airfare and a small portion of his ground transportation, meals, and lodging, most of which was covered by the Japan Center for International Exchange, which contributed $7,393.57 toward his expenses, O’Malley said. “Some of what I learned in Kyoto helped formulate ideas and action for the Clean Boston Task Force, which I created,’’ O’Malley said. Councilor at-Large Ayanna Pressley said her experience at a political leadership retreat in Aspen, Colo., in December sharpened her advocacy for issues she and her constituents care most about. Pressley said she was “very humbled” to be recruited to participate in the fellowship, which consists of three weekend-long seminars generally held in Colorado. The fellowship provided an intimate space for political leaders to discuss issues such as ending discrimination for people with criminal records to eviction and human trafficking. “There are issues that come up here — ideas I’m considering advancing — and I will often call my Rodel fellows and ask them: ‘Have you done this in your municipality or your state, and what are your thoughts?’ ’’ Pressley said.